Islamabad: National Testing Service (NTS) has conducted a screening test on 4th February, 2018 for the selection of students that will go abroad under the Cultural Exchange/China Government Scholarships Programme for the year 2018 for Master’s and Ph.D studies in various subjects. The scholarships are expected from China, and Other Countries. 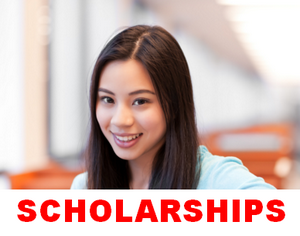 These scholarships are Fully Funded as the donor countries provide tuition fee, accomodation and monthly living allowance, which varies from country to country. The candidates that have completed Sixteen Years Education that is MA / MSc OR must hold four (04) years B.Sc/BS (Hons) in any subject, B.Sc (Engg), MBBS in the relevant field were eligible to submit their applications. Other terms and conditions were also included in eligibility criteria. Initial screening test has been conducted on 4th February, 2018 and it is expected that the ANSWER KEY of the test will be available online within THREE Working Days. Answer Key for NTS Cultural Exchange Test 2018 has been announced (NTS Link). Students awaiting results were NOT eligible to apply for the screening test for this scholarship.